WordPress registration pages enable people to sign up to your site, and subsequently log in using their credentials. 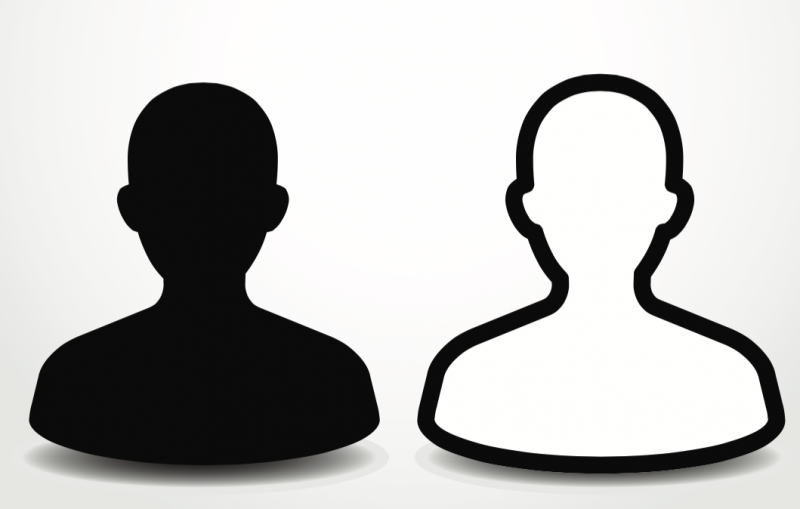 WordPress comes with a default registration page that does the job, but it’s less than..
Do you want to delete WordPress users with specific roles? While you can go to the users page and delete each user one by one, it’s not a feasible option if you have a lot of users. In this article, we will..
Have you ever wanted to allow users to subscribe to specific authors in WordPress? 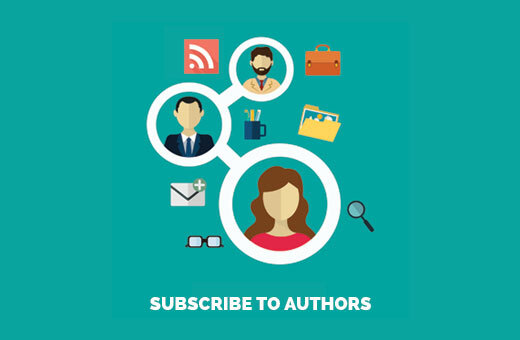 If you run a multi-author WordPress site, then your users may want to subscribe to their favorite author. In this article,.. 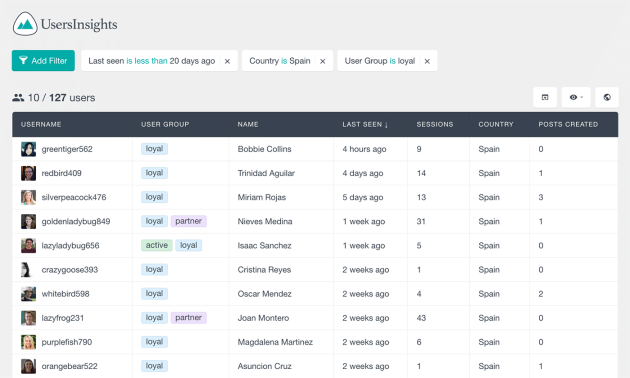 If you are running a multi-user WordPress site, you probably know that when it comes to user management in WordPress, it can be a real struggle to stay on top of things. Who did what? When was the last time.. 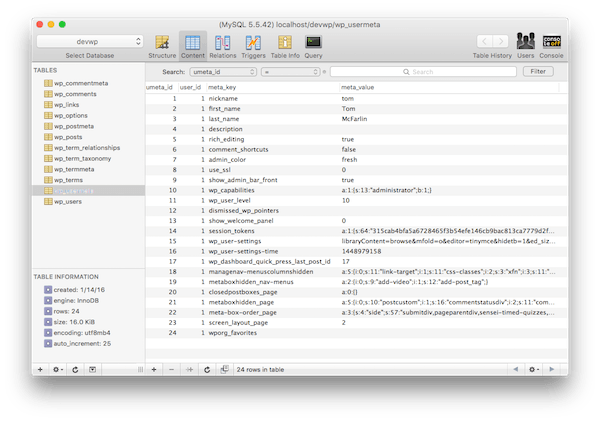 In the previous article, we discussed working with post metadata in WordPress using the provided APIs. We also covered a variety of tools, the ideas of security, and what would be required in order to set up..
Programmatically Update User Profiles When you need to update user profiles with code in WordPress, there are two hooks available: personal_options_update edit_user_profile_update And there’s a subtle..
Like other Content Management Systems, WordPress has predefined User Roles that fulfill the basic needs of a CMS. 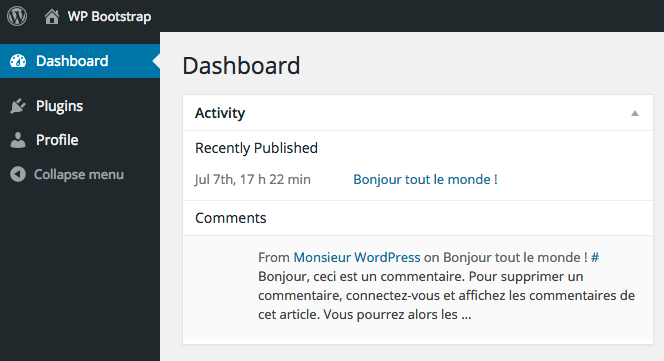 Many WordPress users don’t know that they can limit the access of Dashboard. 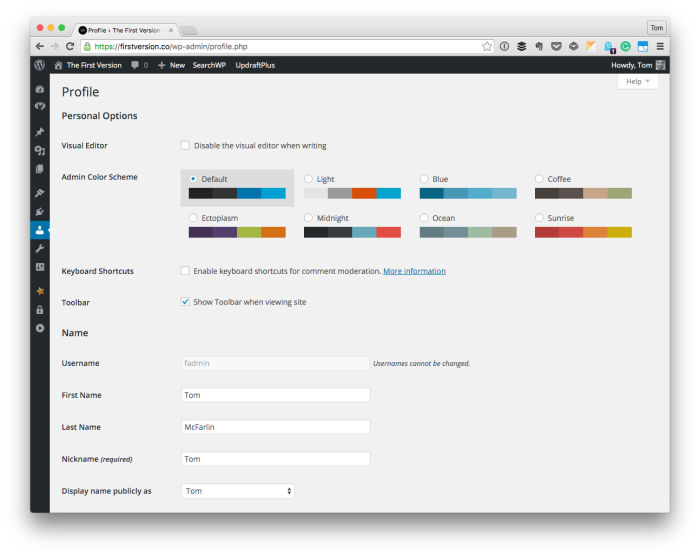 By creating new..
Do you want to add an author bio box in your WordPress posts? The author bio box is a small section where you can display information about the post author with links to their website and social profiles. In.. Some websites allow a user to delete his or her account, and many don’t. Personally, I like having the option for deleting my accounts (i.e. social media), and I’m sure many other people do, because it gives..
Have you ever wondered if it was possible to limit the number of posts a user can publish or submit for review? Recently one of our readers asked us how to limit the number of posts an author can publish on.. 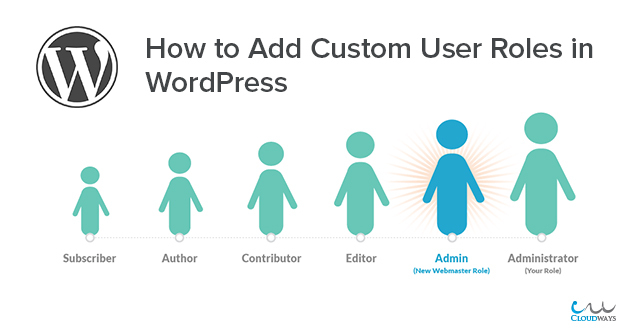 User management on WordPress is based on roles and capabilities. A role is an entity made of a unique name and a set of capabilities. Each capability is used to define if the role has access to a particular..
Arguably, one of the best things about WordPress is its diverse range of potential uses. For many blogs that might mean that very little is made of the WordPress users system at all – there’s just one.. If you’re a solo blogger, adding an author bio at the end of every post is a great way to inform your readers about who you are and what you do. 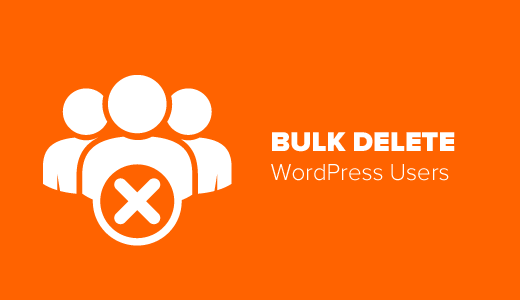 On the other hand, if your blog has several different..
WordPress’s default dropdowns for Authors and Parent Pages in WP Admin work well for most setups, but sometimes the large number of users can slow page load and exhaust memory. A solution that I like is.. The default WordPress login page, registration, and login pages are fine if all you’re building is a basic site with a handful of users, but if you’re working on a client project, creating custom pages is..
Is your WordPress site showing the wrong name on your blog posts? 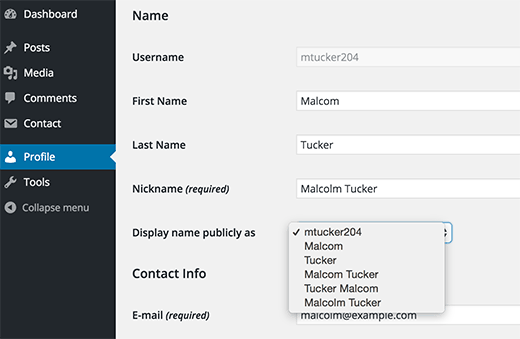 Recently one of our users asked us how they can add their full name in WordPress. During the installation WordPress asks you to enter a..
WordPress’s robust user management system is an attributing factor to its overall success as a content management system. The WordPress REST API opens up a realm of new possibilities for this system, which..
You know how you can log in to a WordPress site as an author and then not delete others’ posts or manage core website stuff like themes and plugins? The amazingly useful system that manages all this is.. 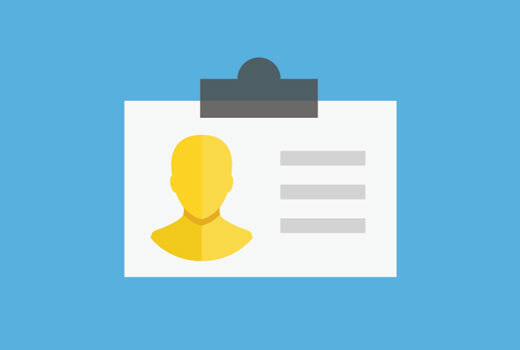 Although we’ve already looked at a couple of plugins that can spruce up the author bio boxes on your WordPress website, if you don’t want to go all the way and replace this section of your theme, but you’d..